Port Coquitlam is a city in British Columbia, Canada. 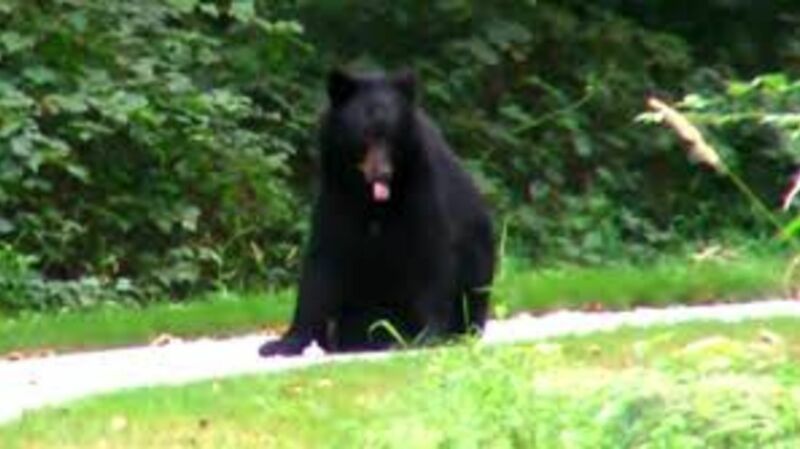 Located 27 km (17 mi) east of Vancouver, it is on the north bank of the confluence of the Fraser River and the Pitt River. Coquitlam borders it on the north, the Coquitlam River borders it on the west, and the city of Pitt Meadows lies across the Pitt River. Port Coquitlam is almost entirely bisected by Lougheed Highway. Port Coquitlam is often referred to as "PoCo." It is Canada's 88th-largest city by population. The area was long inhabited by indigenous peoples, most recently by the historic Coast Salish people, including the Kwikwetl'em. The first European settlers began farming beside the Pitt River in 1859. A major impetus to the creation of a municipality was when the Canadian Pacific Railway moved its freight terminus from Vancouver to "Westminster Junction", building a spur line to the Fraser River port of New Westminster in 1911. Port Coquitlam was first incorporated as a municipality on March 7, 1913. Port Coquitlam was originally developed mostly as farmland. Given the expansion and increasing density of Vancouver, it has now been developed for suburban housing, especially in the northern and southwestern areas of the city. The economy is diversified, with a variety of industrial and commercial developments, including metal fabrication, high technology industries, and transportation. In the 2011 Census, Statistics Canada originally reported that Port Coquitlam had a population of 56,342 living in 20,651 of its 21,533 total dwellings, a 6.9% change from its 2006 population of 52,687. Statistics Canada subsequently amended the 2011 census results to a population of 55,958 living in 20,461 of its 21,327 total dwellings, a 6.2% change from 2006. With a land area of 29.17 km2 (11.26 sq mi), it had a population density of 1,918.3/km2 (4,968.5/sq mi) in 2011. During the second half of the 1990s, the population grew at a rate of 9.8%, spurred by numerous immigrants. By 2001 they comprised 25% of the population. English was the first language for 76% of the inhabitants. Religions practiced were Catholic 36%, Protestant 32%, Other 14%, and No Religion 18%. In the fall of 2017 a decision was made by city council, after consultation with the public, to revitalize the 11-hectare (27-acre) urban oasis and nature preserve on the site of two decommissioned waste settling ponds, a process that recently won Port Coquitlam a Sustainable Communities Award from the Federation of Canadian Municipalities. The official opening party will kick off with remarks from dignitaries and a ribbon cutting, and include refreshments, face painting, hands-on planting, guided walks and other activities. The festivities will take place near the main entry point at the 2900-block of Elbow Place. Parking is available in the lot next to Blakeburn Park off of Riverside Drive. For those walking, the park can be accessed from both Elbow Place and Fremont Street. The site had been off-limits to the public since 1978, when the settling ponds were closed down. The cleanup and redevelopment were made possible in 2015 with $1.9 million in funding from the federal-provincial Small Communities Fund, covering two-thirds of the project’s $2.8 million cost. Park construction began in spring 2017 and has included remediation of contaminated soils; reshaping and deepening the lagoons to serve as a wetland habitat for aquatic, bird and other wildlife; and creating spaces for the public to interact with nature. Site remediation work included capping contaminated areas with clean soil and introducing phytoremediation plants to absorb, immobilize and break down heavy metals. The linked lagoons will be recharged with rainwater from the area’s storm systems, helping to manage stormwater runoff in the Riverwood neighbourhood. Vegetative buffers and fencing to protect environmentally sensitive areas from public access. The focus on promoting wildlife habitat and enhancing the site’s ecological function was selected during public consultation in 2016, winning out over an alternate park design with more interactive amenities. For more information about the project, visit www.portcoquitlam.ca/blakeburn. 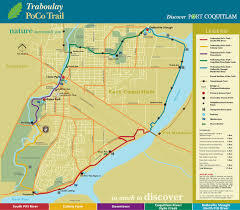 The foundation for Port Coquitlam’s trail network is the Traboulay PoCo Trail, a 25.3 kilometre route that encircles the community. This flat walking and cycling trail is suitable for exploring at any time of the year. Downtown: This paved section winds through areas where local residents live, play and work. It’s well used by recreational users as well as bicycle commuters. 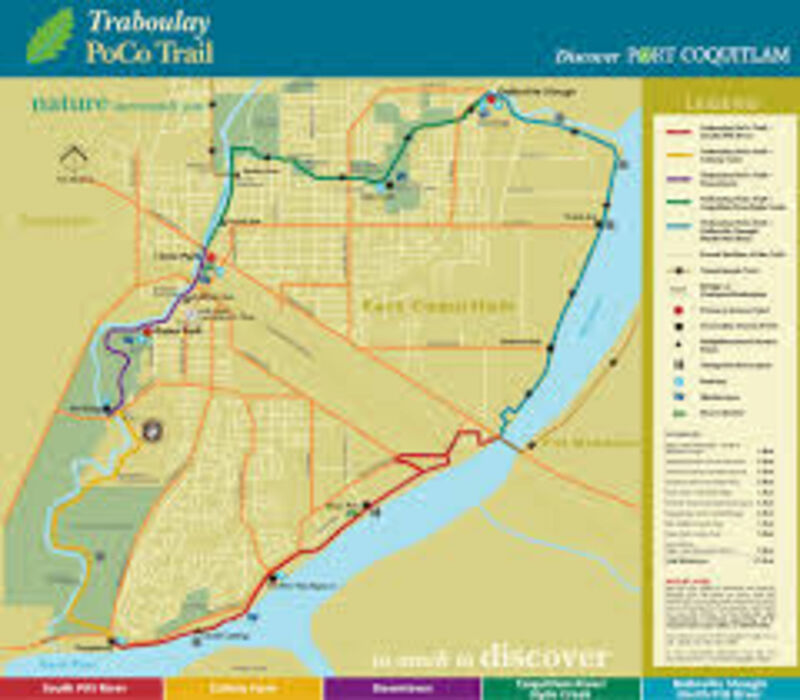 Colony Farm: Walk or cycle through serene and historic Colony Farm, which features more than 150 bird species and is one of the most biodiverse parts of the region. 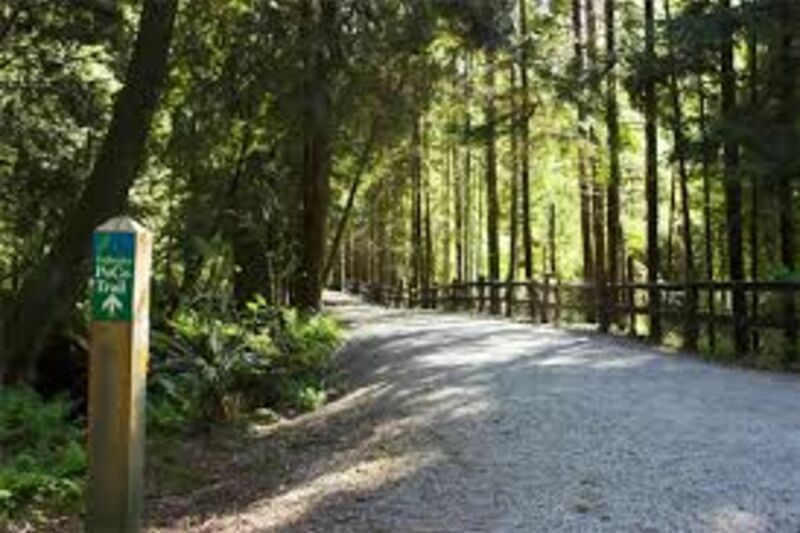 South Pitt River: The trail winds past the Citadel Landing boardwalk, Peace Park and river-based industry, while offering views of the river and Douglas Island. Deboville Slough and north Pitt River: Featuring splendid views of farmland and the mountains. 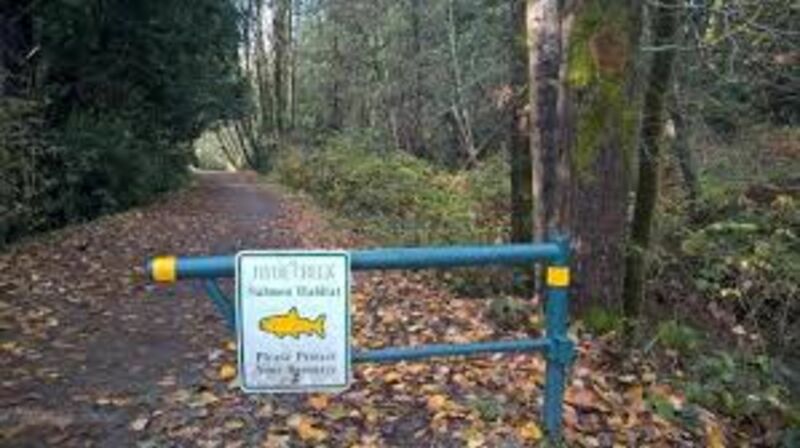 Coquitlam River and Hyde Creek: Enjoy the cool shade from the tall trees along the Coquitlam River and Hyde Creek sections – particularly refreshing on a hot day.